On Tuesday, June 3, 2014, Californians will be voting in several primary elections for both statewide offices and for Congress. We will focus on the Governor primary. 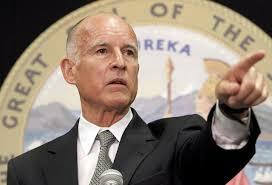 Governor Jerry Brown is seeking reelection this year. Governor Brown is seeking a fourth term this November. He had been Governor for two consecutive terms from 1975-1983. He was reelected for a third term in 2011. 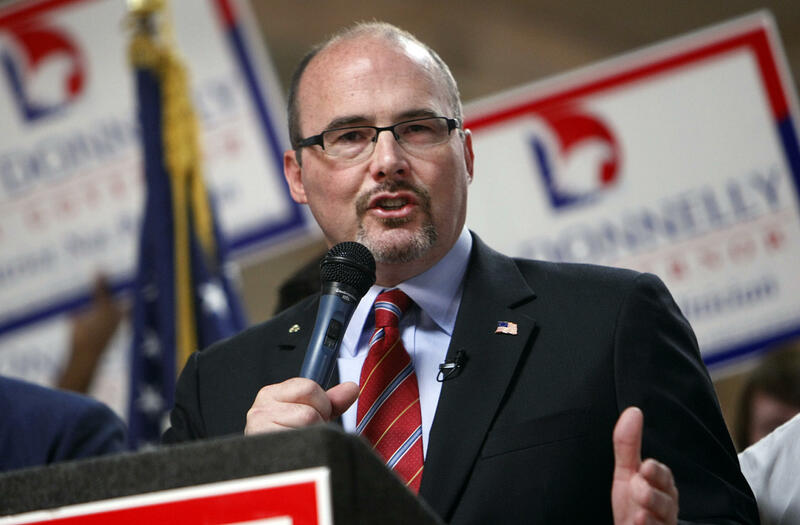 On the Republican side, Tea Party favorite Tim Donnelly, Assemblyman from Twin Peaks in San Bernardino County, is in the lead. California is now using a “Top Two” primary system, in which the top two candidates advance to the general election regardless of party affiliation. Donnelly is an interesting frontrunner in a state where most Republicans are socially moderate and fiscally conservative. Donnelly is a staunch supporter of the Second Amendment, wants to cut taxes and spending, wants to end Obamacare and wants to stop Governor Brown’s prison realignment program, which sends state prisoners to county jails. In 2006, Donnelly made a speech where he likened taking steps against illegal immigration to warfare. Donnelly also founded the Minuteman Party in California. Donnelly faces an uphill battle since Democrats in California hold a 15-point voter registration edge. In addition, nearly 60% of California voters approve of Governor Brown’s job performance. How does Brown have such a high approval rating? In 2012, Brown signed a budget that made cuts to social services. In November of that year, voters approved Proposition 30, which raised the personal income tax rate over seven years for residents making over $250,000 and increased the sales tax by 0.25% over four years. This decreased California’s budget deficit, however Brown has stated that California is running a budget surplus. http://spectator.org/articles/59399/jerry-brown%E2%80%99s-magical-mystery-surplus Reducing the deficit is always admirable, but California still owes $340 billion in debts. Why else would Brown have such a commanding lead in this race? California has the highest poverty rate in the United States at 22%. Over 8 million people residing in the Golden State and one quarter of its children are living below the poverty line. The unemployment rate in California is 8.7%, making it the fifth highest in the country. One third of all welfare recipients living in the United States reside in California. http://www.economist.com/news/united-states/21590933-americas-biggest-state-has-americas-biggest-poverty-problem-not-so-golden Three California cities, Stockton, Vallejo and San Bernardino, have declared bankruptcy. California also has some of the highest taxes for its residents, including a 13% top marginal tax rate on income. Housing prices are out of control, making the cost of living in this state unbearable. California has a plethora of sanctuary cities, which are cities that do not allow municipal funds or resources to be used to enforce federal immigration laws. Last year, California essentially became a sanctuary state. Governor Brown signed the Trust Act into law. The Trust Act bans state authorities from transferring illegal aliens who have been arrested to federal law enforcement authorities if those immigrants have not committed “serious crimes.” Brown also signed AB 1236 into law, which bans employers from using E-Verify to check workers’ immigration status. This bill also prevents any counties from passing legislation to implement E-Verify. Finally, illegal aliens may also obtain drivers licenses and practice law in California. Do relaxed immigration laws correlate with a high approval rating for a Democratic Governor? Perhaps this is why Democrats are so hot to pass comprehensive immigration reform before the November general elections. 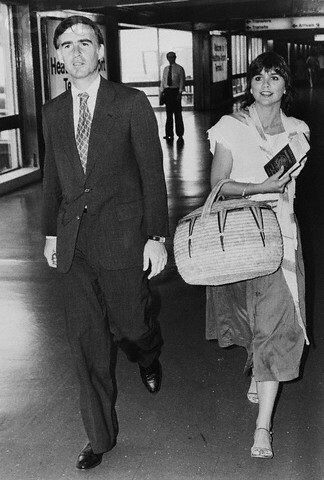 Fun fact about Governor Brown: He and singer Linda Ronstadt were an item during his first two terms. Californians, please remember to vote in this primary election on Tuesday, June 3, 2014! The following is an excerpt from my new satire “Ice Water In Hell Democracy.” You may find the excerpt and perhaps some of the internal narrative of the novel useful to you in you political activities. Good Luck! Satire is the best method to write about our Republic’s phony democracy, which remains with us today as an undefined system of government. Over a period of many years many Americans have assumed democracy to be our basic form of government. That assumption is totally false but politically useful. Democracy’s lack of definition allows politicians to target the actions of our Republic’s governance from a nonexistent base that pretends it is the form of our government. We Americans are expected to accept the idea that our Republic’s liberty and greatness are owed to an undefined and non-ratified democracy that first became active as a political party more than 50 years after our Declaration of Independence.